Hello, my name is Emma. I was inspired to launch classes here having attended with my own children. Our age specific classes are captivating and engaging. A welcoming setting, live singing and specialist percussion instruments enable you and your little one to embark on a wonderful musical journey together. Welcome to Monkey Music. 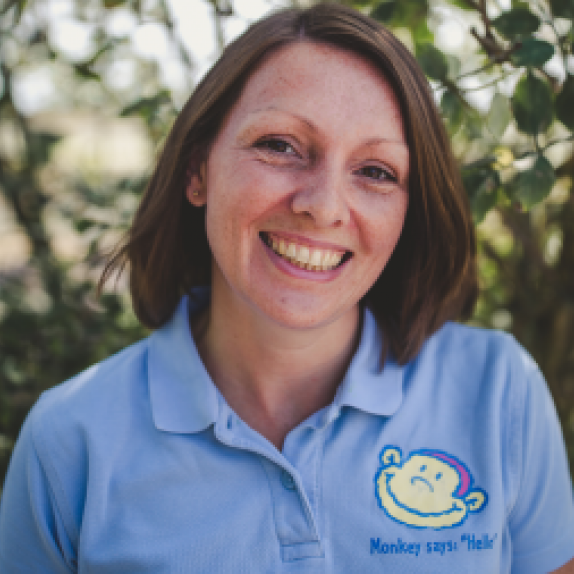 As a flautist, Pianist and a Mum I have been a huge fan of Monkey Music’s classes for babies and young children since attending with my own sons. Monkey Music quickly became the highlight of our week, I realised the power of music and singing in a semi structured setting as I watched my children learning to join the activities, build confidence, increase vocabulary and coordination. When we moved to Hampshire I retrained to teach classes myself. We are delighted to offer Parents, Grandparents and Carers of Pre School Children, Toddlers and Babies the same musical learning experience, education, resources, activities and entertainment that my family enjoyed. 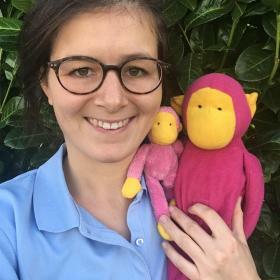 The classes run by Monkey Music Chichester and Petersfield are open to children aged from 3 months to four years and gently introduce musical activities, musical resources, singing and learning experiences to children in a way that they can easily understand and enjoy at each stage in their development. This ensures that they are having fun and enjoying themselves whilst learning, even though they don’t realise it. Every class is grouped by age. Sensory and stimulating visual experiences combined with gentle singing and lullabies are the focus during baby sessions. Movement and language development for busy toddlers and for our 2-3 year olds independence and self expression is encouraged through musical interaction. Every Monkey Music Class in Chichester and Petersfield is limited in size to ensure that each child and family has the opportunity to reach their learning potential and each class follows a structure with resources that becomes familiar as we progress through the term. The class highlight activity is often ‘Time to Play ' when each child has the opportunity to play along with the song using a variety of real percussion instruments. Parental support is often needed for the small babies but activities and resources are well planned to support learning and development during each and every song , from our youngest baby through to our oldest pre schooler. 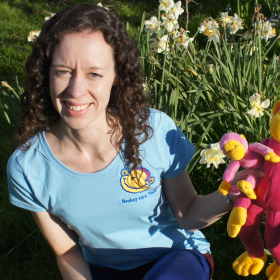 Monkey Music Chichester and Petersfield use hundreds of traditional and original songs, nursery rhymes, games and musical movement pieces throughout the syllabus to keep your family captivated and enthralled as they embark upon their pre school musical journey. Babies in the womb are capable of hearing noise and recognising parental voices as early as 11 weeks. All children are born with instinctive musicality which needs to be encouraged at a pre school age if they are to reach their maximum potential. Some parents may question whether their baby or toddler possesses such instincts, however we have yet to meet a child who doesn’t light up when offered a drum to beat or a maraca to shake with the group. Early introduction to music whether it be listening, singing a song or playing has a wide range of educational benefits. Language and numeracy are learnt through the repetition of action songs, poems and nursery rhymes. Fine motor skills are developed when playing hand held percussion instruments. Spatial awareness, co-ordination and social skills are refined during musical movement activities. Very often a child that has spent the entire first class rooted to a carers lap will grow so rapidly in confidence and self esteem that they are quite able to collect their own instruments and participate fully in the same song or activities a few weeks later simply by understanding the structure and routine, knowing what to expect, and feeling part of a group and being involved in the experience. Our specialist teachers are selected not only for their evident musical talent, but also for their ability to nurture and empathise with young children. It’s not just about the child either, Monkey Music classes are planned to be an interactive enjoyable, social activity for the whole family. Many lasting friendships are formed at our classes. There are many advantages of a termly sign up, most importantly it gives your child the best chance to become familiar with their surroundings, activities and the format of the class and build week after week upon their learnings. The other benefit of a termly sign up is that your family will meet with the same families again and again enjoying the same shared experiences. 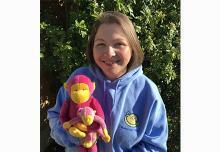 “Emma’s classes are fantastic as is the Monkey Music brand. My son can identify several different instruments from the orchestra as well as read graphic notation"
"The classes are filled with fun, dancing and songs, try a class you won’t be disappointed"
"it is such a fun and engaging class. Emma is very friendly and the class has really helped build my sons confidence not to mention his vocabulary and understanding"
"He has a real love for music and instruments and I'm sure this is thanks to Emma and Monkey Music"
"My daughter loves Monkey Music! The songs are just a bit different and there is such a wide range of musical instruments"
"Our first term is nearly over and my little girl has loved the classes, such a friendly class for new mums too! 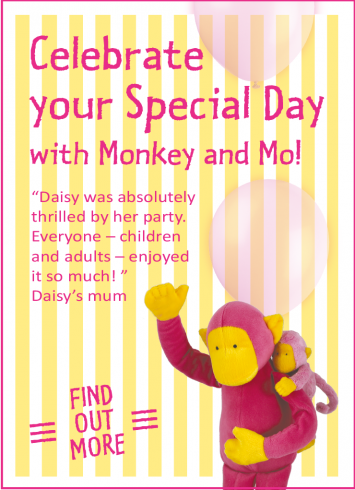 Thank you"
"We had such a good time and I think the adults enjoyed it as much as the little ones"
" A fun and engaging session that both my children enjoyed for the entire 45 minutes"
I first discovered Monkey Music as a parent and now I enjoy sharing that magic with others. I have been teaching classes since 2015 and love seeing children learn whilst they are having fun. I play the flute, piano and recorder. 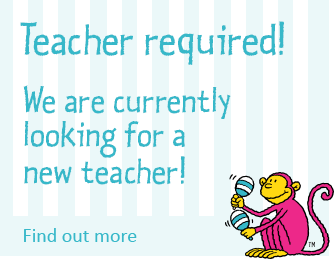 I have a degree in music and am a qualified music therapist, my principal instruments are flute and piano. I am passionate about using music with children because it sparks imagination and develops many skills. 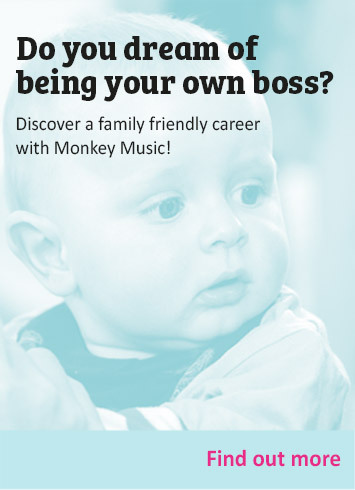 I love using Monkey Music to start little ones off on their lifelong journey with music.